Your service demands you to perform difficult tasks but they want to keep you as safe as possible while you are working. Protect yourself with the versatile Black G.I. Flight Gloves which are as comfortable as they are functional. These items were carefully made from sheepskin leather to produce a gentle and flexible material. These G.I. 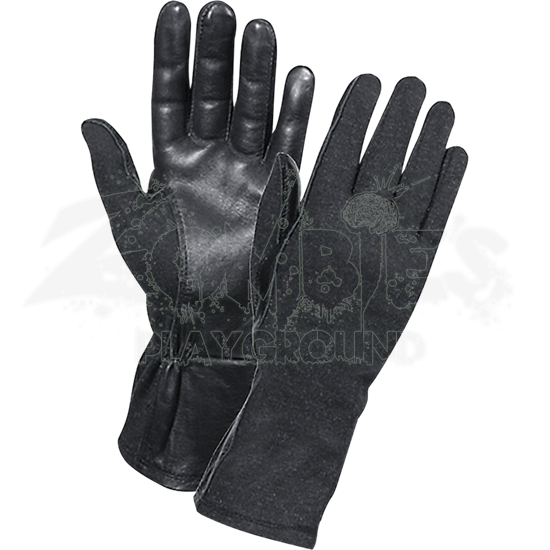 style gloves have heat and fire resistant fabric of up to 280 grams per square meter. Safety is the top function for this item so the fabric and threading all meet military specifications. You do not want to pass up an opportunity to safe guard yourself while on the job so pick up a set of Black G.I. Flight Gloves today and work with confidence.